(20829.18, Oklahoma Historical Society Photograph Collection, OHS). A traditional Native storyteller, Te Ata, also known as Mary Frances Thompson Fisher, was born in Emet, Chickasaw Nation, near Tishomingo, on December 3, 1895. Her parents were members of the Chickasaw Nation. Her father, T. B. Thompson, the last treasurer of the Chickasaw Nation, operated stores in Tishomingo. Te Ata's uncle, Douglas H. Johnston, was the last governor of the old Chickasaw Nation. Mary Thompson attended Bloomfield Academy in the far southeast corner of Johnston County. Later she attended high school in Tishomingo, encountering "white" children for the first time. In school at Tishomingo Te Ata found a role model in teacher Muriel Wright. Later attending Oklahoma College for Women (now the University of Science and Arts of Oklahoma), in Chickasha, she acquired another mentor, Francis Densmore Davis, an active researcher and writer on Indian cultures. Davis recognized the young woman's talent for drama, and soon Mary began to use the name Te Ata, reflecting her Indian heritage. Te Ata worked on a Chautauqua circuit managed out of St. Louis, and she began to develop her style of storytelling using various American Indian sources. Her readings, storytelling, and dance were often accompanied by classical and other music played on piano. She eventually also used small drums, rattles, and other common, traditional instruments. With Davis's encouragement she attended Carnegie Institute of Technology in Pittsburg, Pennsylvania, for one year. From Pittsburg she moved to New York City, worked in theater, and entertained the city's social elite. There Te Ata met Clyde Fisher, a naturalist and eventual curator of the Haden Planetarium, and they married in 1933. In 1933 Te Ata performed for the first state dinner given by Pres. Franklin Roosevelt. Many of her performances in the 1930s were at summer camps throughout New England and New York state. In 1939 she performed again for the Roosevelts at their home in Hyde Park, New York, on the occasion of a state visit by the king and queen of Great Britain. Later, Te Ata toured Europe, giving performances for royal families and heads of state. The Fishers traveled in South America and extensively in the United States, often observing Native ceremonies and learning different traditions. Te Ata incorporated these experiences in performances later in her storytelling. In 1958 Te Ata was recognized by the Oklahoma Hall of Fame, and in 1976 she received the Governor's Award (Oklahoma) and was named Woman of the Year by The Ladies Home Journal. Her performances are preserved in a film, God's Drum (circa 1971), and on a video recording of a storytelling festival sponsored by the Oklahoma City Arts Council. She died in Oklahoma City on October 26, 1995. Te Ata Fisher's influence on the appreciation of Native traditions and on the art of storytelling is an enduring legacy. Her name, Te Ata, means "Bearer of the Morning." 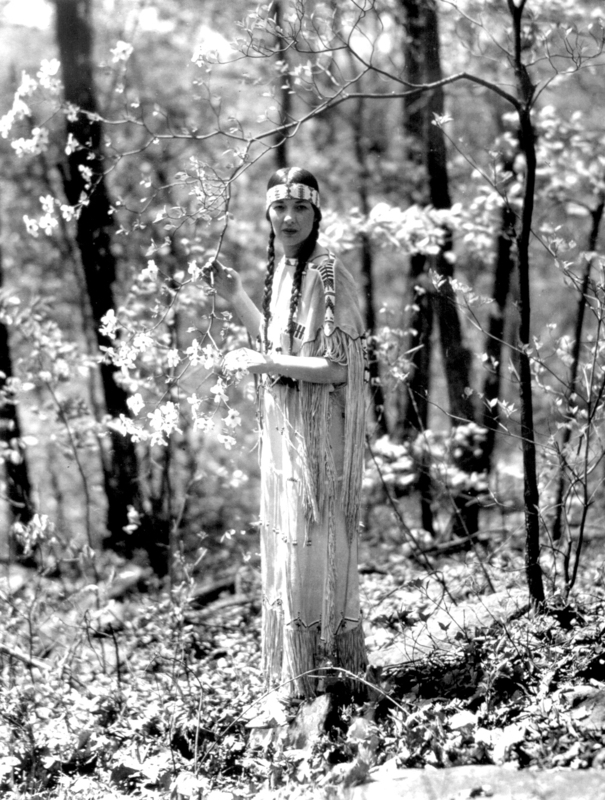 She preserved and promoted great affection for old ways, American Indians, and natural beauty. Richard Green, Te Ata: Chickasaw Storyteller, American Treasure (Norman: University of Oklahoma Press, 2002). "Te Ata," Vertical File, Research Division, Oklahoma Historical Society, Oklahoma City. Jane Werner Watson, "As I Remember It: Te Ata" (Unpublished manuscript, 1977). Rodger Harris, "Te Ata," The Encyclopedia of Oklahoma History and Culture, https://www.okhistory.org/publications/enc/entry.php?entry=TE001.